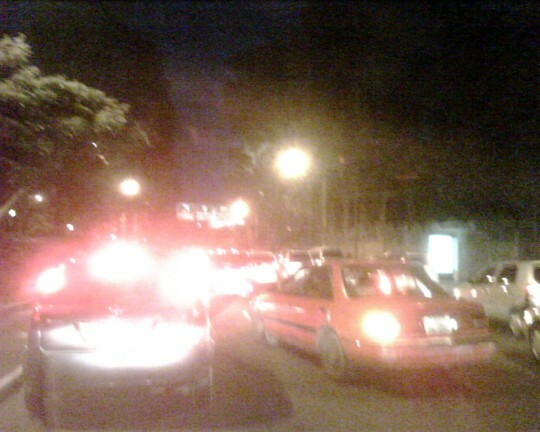 It’s 6:43pm in Zona Viva, Guatemala City and we’re getting nowhere fast. In fact, in the past hour we’ve advanced only a couple kilometers as we crawl back to Antigua after our security briefing at the American Embassy. More on that later- for now it’s the oh-so-authentic experience reminiscent of being shoved through a funnel with traffic cop glow sticks while listening to “Footloose” on the Crazy For The 80’s radio station. Note to selves: never attempt entry or departure into the capital between the hours of 5-7pm! Posted on Wednesday, September 30th, 2009 at 6:00 pm. Filed under: Blog, Team Guate	RSS 2.0 feed.